Many homeowners have been granted a hard-fought mortgage modification only to have their mortgage company effectively pull a bait and switch. Chanel Rosario was supposed to be one of the lucky ones. After years of sending and re-sending documents, waiting on hold and attending court hearings to avoid foreclosure on her Staten Island home, she'd finally received a much-needed reduction on her mortgage. Eagerly, she and her husband signed it and mailed it in last September. "We thought it was over." It wasn't. After months of making payments, Rosario called the bank handling her mortgage, Chase Home Finance, and found out Chase was still reporting her as delinquent, damaging her credit score and putting her home in jeopardy. Despite months of trying to get an explanation with the help of a legal-aid attorney, she still doesn't know why Chase isn't abiding by the agreement. It's a disturbingly common occurrence, say consumer advocates: Many homeowners have been granted a hard-fought mortgage modification only to have their mortgage company effectively pull a bait and switch. The problems range from homeowners being hit with unexpected extra charges to the bank simply ignoring the signed agreement. Handling these types of cases "seems to be our specialty these days," said Noah Zinner, an attorney with the nonprofit Housing and Economic Rights Advocates in Oakland, Calif. In addition to the prospect of losing their homes, homeowners can also see their access to other credit cut or have their interest rates on their credit cards jump as a result of being reported delinquent. To get a sense of how common this problem is, the nonprofit Connecticut Fair Housing Center conducted an informal survey of 16 legal aid organizations and one private attorney. In nearly a quarter of the 655 cases of modifications they reviewed, the mortgage servicer didn't abide by the terms of the agreement. In the worst cases, homeowners who thought they'd successfully run the gauntlet of servicer errors and delays found themselves once again facing foreclosure. Sometimes the house was actually foreclosed on. "It's not just one servicer screwing up," said Andrew Neuhauser, an attorney with Advocates for Basic Legal Equality of Toledo, Ohio. "It's industry-wide practice." ProPublica investigated six cases in which banks and other mortgage servicers offered modifications they didn't abide by. In some cases, like Rosario's, the bank was accepting new lower payments but seemed to have no record of the agreement. In another, accounting mistakes resulted in a buildup of arrears and late fees. One homeowner was hit with a bill for more than twice the agreed-upon payment three months into a modification. Another received a foreclosure notice out of the blue. You can see our rundown of these cases and the servicer responses here. In general, the servicers contacted by ProPublica either corrected the problems or said they'd work to do so. None responded to a question about what steps the company was taking to prevent these sorts of problems. Attorneys interviewed by ProPublica said that they were usually successful in getting servicers to correct the problem but that it often took the threat of litigation. "It certainly seems that when the servicers have to, they'll fix it," said Zinner, the legal-aid lawyer from Oakland. That may work for those who can afford lawyers or find free legal help, but most homeowners don't have legal representation. The frequent errors are par for the course for mortgage servicers, the companies that collect payments from homeowners and handle modifications and foreclosures. From widespread forgery to "robo-signing" to mistaken foreclosures, the failures have stemmed from the industry's choice to devote inadequate resources to handling troubled loans. Those issues, it turns out, can continue to affect borrowers even after a modification has been signed. All this has happened on the watch of federal banking regulators, who only launched an investigation of the servicers' practices when they became front-page news. Bryan Hubbard, a spokesman for the Office of the Comptroller of the Currency (OCC), the primary regulator for the country's biggest banks, said regulators were aware of the problems and are putting processes in place to address them. The banks, for instance, will soon be required to provide a "single point of contact" for each homeowner, so that when an error does occur, the homeowner will supposedly be able reach someone knowledgeable about their case. The homeowners interviewed by ProPublica often complained of being unable to get an explanation for why their servicer wasn't following the signed contract. One had even complained to the OCC without any results. Inevitably, they found themselves passed from one servicer employee to another, none of whom seemed to understand the situation. "What they did was put blame on me, burden on me to get this straight when they already knew what the mistake was," said Carolyn Chaney of Seattle, Wash., after battling with Bank of America. As we've noted, advocates have criticized regulators like the OCC for their poor track record in identifying servicer abuses and are skeptical that the new regulations will substantially improve the experience for homeowners. In April, regulators ordered 14 of the country's largest banks to make a variety of changes to their servicing operations and to review their foreclosure actions over the past couple years. Servicers violating modification agreements is "among the kinds of issues that the enforcement actions are intended to address and that the foreclosure 'look back' review will help quantify," the OCC's Hubbard said. 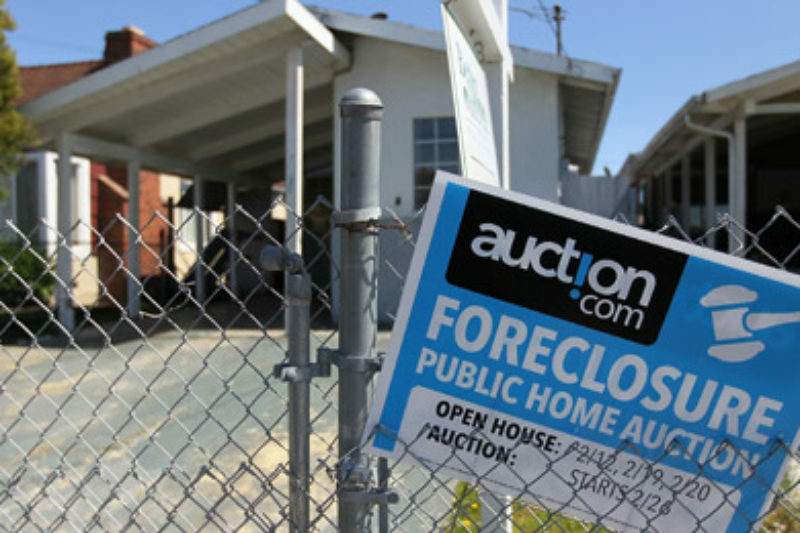 Under the foreclosure review, homeowners could be reimbursed for "impermissible or excessive penalties, fees, or expenses, or other financial injury suffered," he said, including somehow compensating the homeowner if there was an improper sale of the house. As we've reported, many details of the reviews remain uncertain, including how much banks will be compensating wronged homeowners. "The biggest factor in determining an appropriate remedy is to determine the actual financial harm suffered by the homeowners as a result of an improper foreclosure action," said Hubbard. Homeowners seeking redress often face an additional hurdle due to the servicer not returning their signed copy of the agreement, said Jeff Gentes of the Connecticut Fair Housing Center. "You're arguing uphill," he said, if you don't have conclusive proof that the servicer agreed. Told of this problem, the OCC's Hubbard said regulators would consider requiring servicers to return the signed agreements to homeowners.